Directions: Make your way up the Kohala Coast to the town of Hawi. 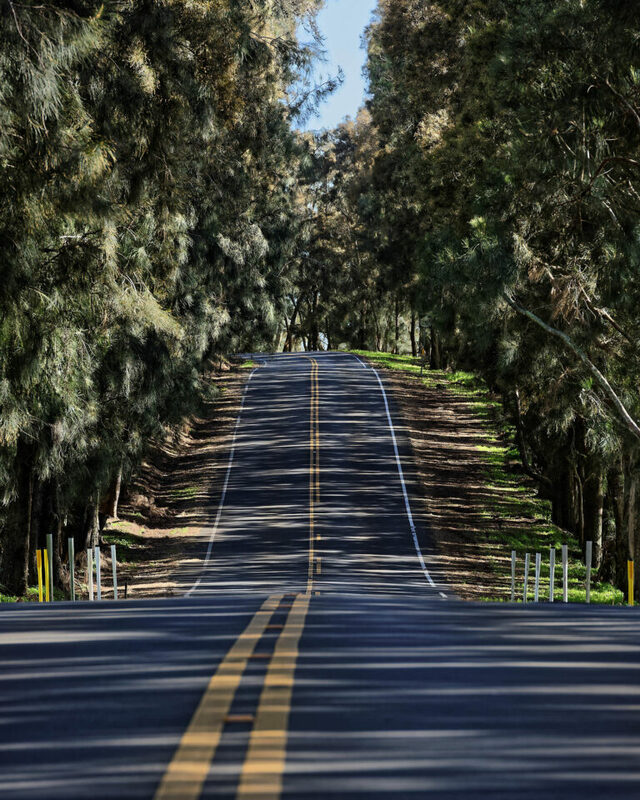 Highway 250 begins at the main intersection in town and takes you south and east to the town of Waimea. Of course Hawai’i has many amazing photo spots! And the sights along Highway 250 in the northwest tip of the Big Island make it a worthwhile drive. Having an automobile is pretty much mandatory. 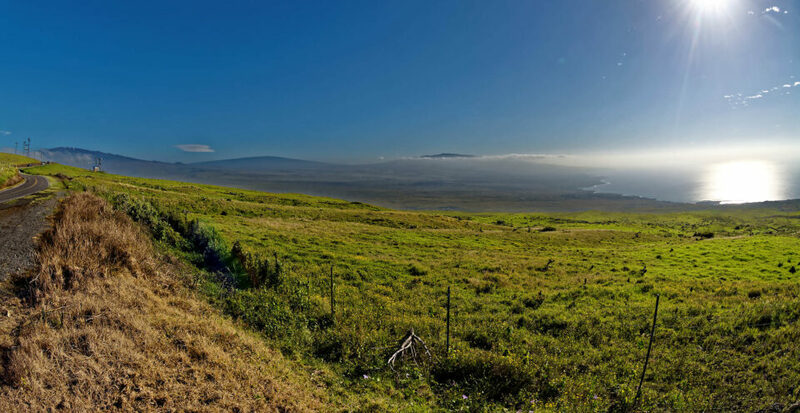 The road out of Hawi is a steady climb up the west side of Kohala (the oldest of the five volcanos that make up the island of Hawai’i). The initial areas on either side of the road are a mixture of farmland and woods. The featured image was taken just a few yards into a patch of woods right beside the highway. About midway to Waimea, we were delighted by a whimsical sight on our left as we passed more grazing land. The arrangement of the “double-tree” in the field with its green and blue backdrop was a “must-stop” moment. 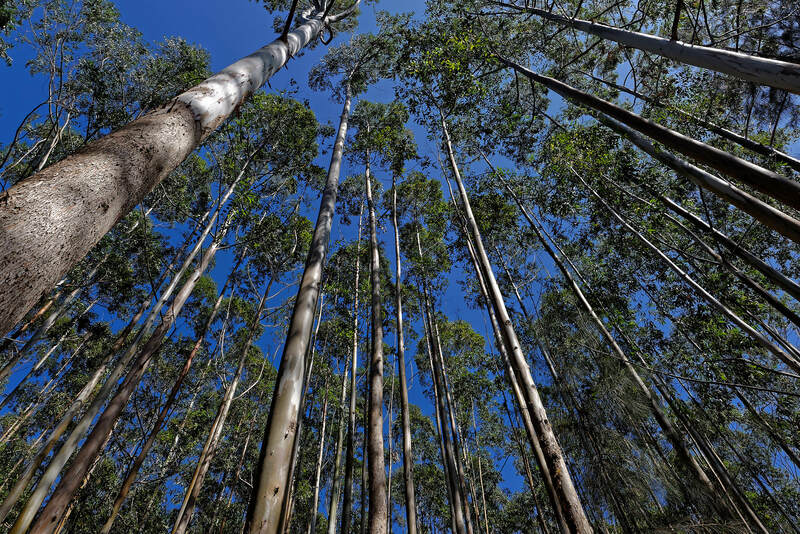 The highway climbs to a maximum elevation of over 3,600 feet and the woods turn into grasses and scrub. The view opens up to three more of the five volcanoes that make up the island; Mauna Kea (where you get clear sight of the observatory domes – another 10,000 feet higher up! ), Mauna Loa, and the volcano Hualālai, all captured in the final photo of the group. The Kohala Coast is also featured with its mist and clouds coming in off the ocean. I just went there, must be a photographers dream. What beauty!